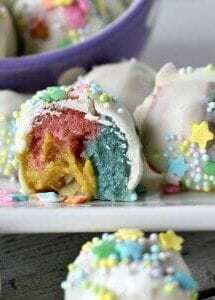 These Rainbow Unicorn Truffles make the most delicious dessert with a rainbow twist! 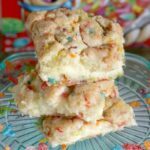 Looking for some other fun (and easy) desserts – just click on the pictures below! These look so super fun! But I’m a little confused, so you don’t cook it? Just mix everything and freeze? Sorry, I’m not a good cook, so I wanted to clarify before I made a mess! :) thanks! Yes! 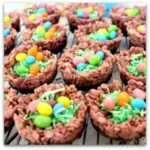 They are No Bake!!! 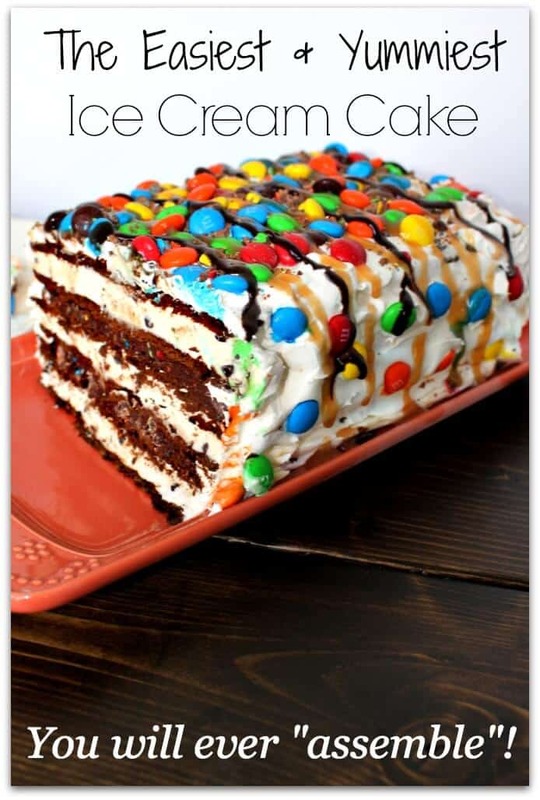 Shouldn’t it say, “Melt all ingredients except _candy melts_, food coloring and sprinkles”?? Is it bad that these really appeal to me? Pinned! I don’t know how easy it is to roll the truffle mixture, but I’d be tempted to make it firm enough to be able to make rainbow sausages of coloured mixtures to roll into a bigger rainbow sausage. 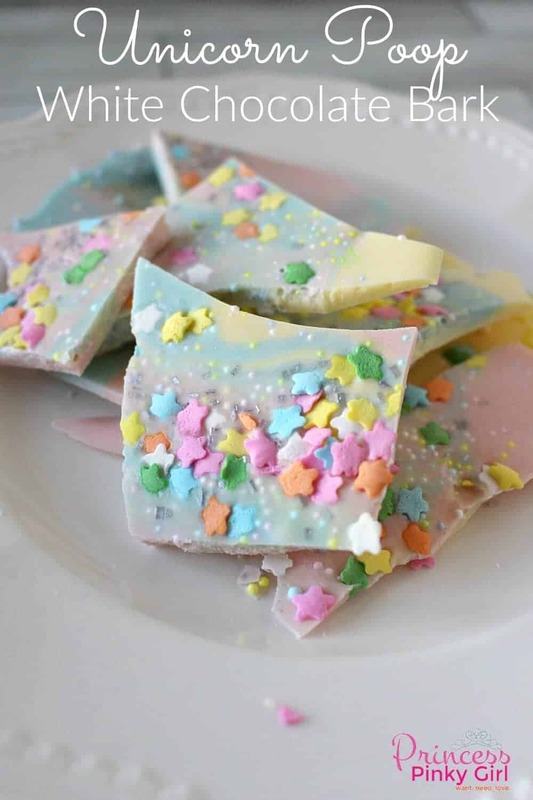 Refrigerate, cut into pieces then roll into balls and put on the melts and sprinkles. 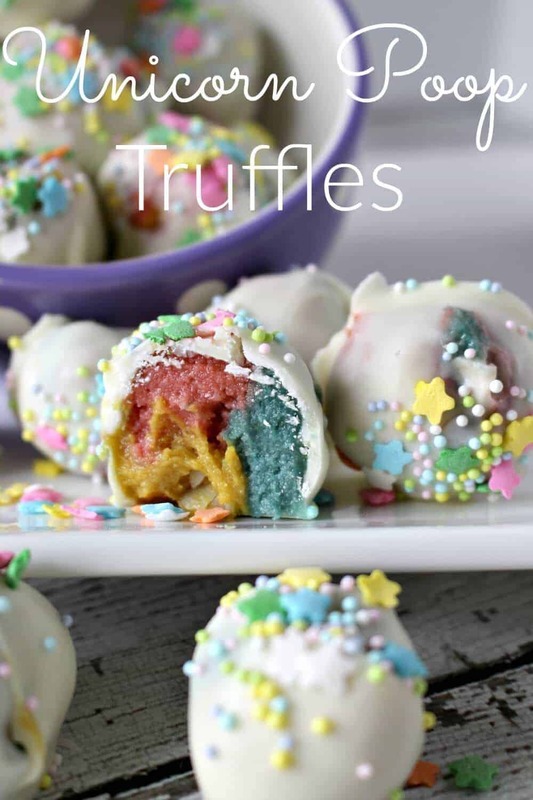 Never made truffles before, but might make it my mission to find a way to make rainbow ones lol.